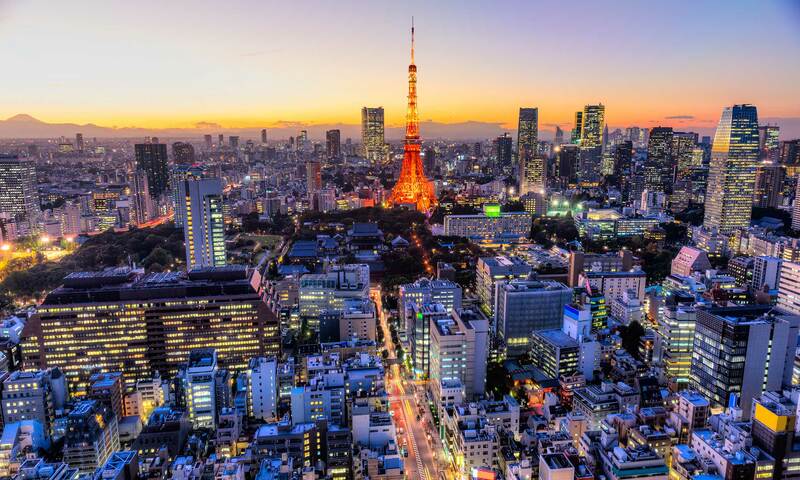 With over 12 million inhabitants, Tokyo stretches horizontally as well as vertically. With skyscrapers soaring above a bustling port and bay, this is a city of fascinating neighborhoods, beautiful gardens and gorgeous art. After arriving at Narita International Airport and completing immigration formalities, meet your scheduled limousine shuttle for your drive into town. Prior to departure you will be provided with round trip limousine airport transfer tickets and two-day metro passes which you will use while traveling around the city with your guide in the coming days. The remainder of your day is at leisure. We will provide you with a list of restaurant suggestions for your stay in Tokyo. This morning, embrace the jetlag and rise early for a unique experience: Meet your English-speaking guide at 8:00 am and depart by public transportation for the Tsukiji morning market. Amongst the wholesale fish markets of the world, Tsukiji ranks at the top in every measurable category, importing a diversity of seafood from 60 countries on six continents. Start strolling around the outer-market before entering the actual wholesale market, where you will see all types of seafood being prepared and sold (no auction). Afterwards, you may wish to enjoy the freshest sushi at a nearby restaurant. 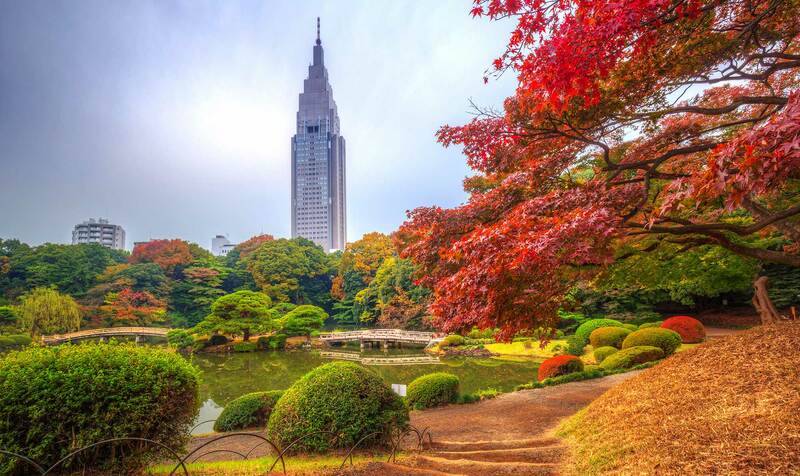 Take a pleasant and peaceful stroll in Hamarikyu Garden, a vast landscaped park characterized by its tranquility in the middle of Tokyo. From here, discover Tokyo’s skyline and bridges from the Sumida River by boarding a cruise boat to Asakusa. Your guide will show you the small streets of Asakusa, one of Tokyo’s oldest and best-preserved districts where the presence of ancient Japan is still felt. Walk along the Nakamise Dori street, dating back to the Edo period when the temple’s neighbors were given special rights to open their shops on the approach to the temple and arrive at the Sensoji Temple, with its huge lantern. Next, continue on to the unique restaurant-supply district of Kappabashi: Tsukiji fish market may be the first destination for foodies visiting Tokyo, but Kappabashi is famous for its plastic food models and offers everything needed for a commercial restaurant: the stores sell tableware, cooking pots, pans, utensils, plus amazing knives. Continue on to the Ginza district, known for the most expensive real estate in the world and being home to some of the country’s most prestigious companies, numerous brand shops, department stores, boutiques, bars and restaurants. Here, architects rival in imagination with fashion designers from all over the world, including the Swatch and the Hermes buildings. Also take time to visit some of Ginza’s famous department stores, especially their basement floors with high-end food courts, where Tokyoites buy their delicacies. Return to your hotel around 5:00 pm. Dinner and the remainder of the evening are on your own. At 9:00 am, you will be met by your English-speaking guide and set out together to see another side of Tokyo. Begin your visit with a pleasurable stroll in the Yoyogi park of Meiji Jingu Shrine. The huge Meiji-jingu shrine was constructed in 1920 by more than 100,000 volunteers to honor Emperor Meiji, the first emperor of modern Japan. The Shrine is located in a 700,000 square-meters evergreen forest of 120,000 trees with 365 different species, donated by people from all parts of Japan when the shrine was established. Explore the nearby Harajuku, to see the best of Tokyo’s sub-culture, where so-called “Harajuku Girls” gather on Sunday, dressed up in “Cosplay”, imitating their favorite Fantasy Heroes. In recent years, Harajuku has also become another major fashion and shopping corner of Japan with numerous famous and lesser-known yet very creative designer shops. Also take a dive into “Takeshita Dori”, a small street packed with both fashion shops and shoppers. Real “fashion victims” should allow at least two hours here. Drive on to Roppongi Hills, a sleek and modern shopping and entertainment complex. There are many great options for lunch in the area, depending on your tastes. After lunch, encounter with “Maman”, the famous Louise Bourgeois’ sculpture and visit the Mori Art Museum, established in 2003 as a cultural complex on the upper floors of Roppongi Hills Mori Tower, designed by Richard Gluckman. (A visit to another museum of your choice in the same area is also possible). Next climb up to the Roppongi Hills observation deck located on the 52nd floor of Roppongi Hills Mori Tower, where you can enjoy an amazing 360-degree view of Tokyo. There are two relaxed cafés where you can take a break overlooking the sweeping metropolis. Around 5:00 pm, transfer back to your hotel and enjoy time at leisure. This morning check out of your hotel and transfer on own to the train station for your next Willing Foot adventure. Or, if you wish to stay on in Tokyo, you will have your two days’ free metro pass to get yourselves around the city. You have your return Limousine Shuttle ticket for use after your Willing Foot adventure in Japan ends.